Empowering your employees is all about making their jobs easier and more efficient. It’s about having tools that provide them the ability to make better decisions and improve the company. While there are a million different ways to empower your workforce, using a cloud ERP system to manage your financials may not seem like the obvious answer. But make no mistake, giving your team the power to work from home, be more productive and obtain critical information to boost the effectiveness of their decisions is absolutely empowering. Here are four ways that cloud ERP can empower your employees to drive organizational success. Have access to better information, faster: Thanks to a myriad of reports, business intelligence tools and dashboards, every member of the company is able to have the power to make better decisions. From a management perspective, data can be captured and measured, allowing leaders to make adjustments for the future. Furthermore, managers can monitor progress in real time. This visibility is very powerful and empowers employees. Become more efficient: Companies save money when they have an all-encompassing system that has accountability and efficiencies built into the fabric of the software. For example, when companies upgrade from spreadsheets and QuickBooks to a cloud ERP offering, they are able remove the need for manual data entry and duplicate record keeping. They obtain one source of truth. The sales and marketing teams also become more efficient. With cloud ERP, they have the ability to build in predefined business processes that help them streamline the way they work. They’re able to gain more visibility into their work and are able to make adjustments when something goes wrong. Armed with powerful information, people across the entire company are more accountable for their actions. Monitor their own performance: Companies must have measures to ensure success. Cloud ERP allows employees to do regular checks — daily, weekly, etc. — to see how they’re performing on those metrics. This helps employees to make adjustments as needed to ensure they’re delivering. Without that information in users’ hands, your employees often don’t have a good idea where to make improvements. Reporting and performance measures allow them to fix what’s not working. Work from anywhere at any time: Have access to the information not just when you’re sitting at your desk in your office, but also while you’re at home or traveling for work. Being able to access your system or functional area within the system from a mobile device is changing the way — for the better — that companies interact with each other departmentally and between individuals. Companies are increasingly using remote workers and employees are looking for remote work. Gen Y employees often make decisions about working for companies based on whether they’re allowed to work remotely. If you’re interested in hiring in the Gen Y employee group, this software feature is a huge advantage. Allowing workers to telecommute is a win-win. Happy employees work more and are more productive. Armed with a cloud ERP solution, your employees will have the reporting tools, business intelligence and real-time data they need in order to respond to critical issues with confidence. The result is better productivity for the organization as a whole and more freedom for employees to work from anywhere. Subscribe to Dynamics 365 (Financials or Sales) by Thursday 4/27/2017 and get UNLIMITED SUPPORT & Access to Premier Services Training for SIX MONTHS FREE! Subscribe before 5pm Thursday April 27th and get the Silver package for the Bronze for up to 6 months. You can change your package anytime. Get started today with as little as one user. Integrated with Office 365, Dynamics 365 for Financials and Sales is priced at $40/User/Month. Any questions, we will be happy to assist! It all started back in 1994. SMB Suite was founded by CPAs who had a love for technology to serve the business software needs of clients throughout the US. The principals of SMB Suite recognized the emerging market opportunity presented by the continuing adoption of internet delivered applications. They leveraged their extensive experience with ERP solutions to become one of only a few companies worldwide to achieve the designation of Great Plains and later Microsoft Certified ASP (Application Service Provider). SMB Suite’s history and experience as a Microsoft Gold Certified Partner earned their recognition of providing the industry’s first fully prepackaged, web based integrated solution before the term “Cloud” was ever coined. Delivering web based ERP, CRM and productivity products since the 90’s, SMB Suite has added significant value to Microsoft’s pursuit of developing its number one priority – Cloud Based Computing, a Digital Transformation. In 2007, with the growing demand for Cloud alternatives to traditional software implementations, SMB Suite launched its All-Inclusive Cloud Subscription to address an existing gap in the Small to Medium segment for a complete “business in a box” online solution. Developed and packaged from a combination of market studies, focus groups and the experience of SMB Suite’s senior team, SMB Suite was the first Cloud product that delivered a fully integrated Microsoft “stack” of business solutions and best practices methodologies in a per user, per month, all-inclusive monthly fee. SMB Suite is the only cloud subscription for ERP and CRM that offers a 100% all-inclusive subscription. Literally rolling in all costs (Implementation Services, Training, Licensing, Support, and Upgrades) into a predictable, fixed, monthly price. It makes it so easy to understand, and takes out all the risk that once was in the traditional model. Over the years SMB Suite has received various Microsoft awards including the Pinnacle Award for Excellence in Technology, Marketing Excellence, Cloud ERP Partner of the Year, North American ERP Partner of the Year, Worldwide Cloud Partner Finalist and Presidents Club. They have also been invited to and currently sit on both the Microsoft US Partner Advisory Council and the World Wide Cloud Advisory Council. Dedication to continue to reach far beyond the status quo to deliver an all-inclusive software package with unparalleled support is SMB Suite’s mission to make it easy, safe and affordable for a small to medium businesses to adopt! Great Plains customers are moving to cloud solutions. However, to take advantage of a cloud offering, these customers don’t have to move off of Great Plains and be forced to learn an entirely new system - one that could slow their business down. SMB Suite provides the same benefits of the cloud, while allowing customers to continue using Great Plains. With SMB Suite, customers can upgrade to the latest version of Dynamics GP, and experience the benefits of a modern cloud solution without the time and expense of learning a completely different ERP solution, all for one low monthly subscription. In this three part series we will take a look from the perspective of an existing customer on traditional Great Plains, and the benefits of using Great Plains with the SMB Suite cloud as alternative to having to learn another ERP system. If you have an existing outdated Great Plains on-premise solution, the first benefit of moving to the SMB Suite is that you can keep Great Plains, the solution you know and love. Great Plains, now called Microsoft Dynamics GP, is one of the most widely used ERP solutions in North America. If your business isn’t on the latest version, your company could be missing out on improved productivity and greater efficiencies. To date, Microsoft has made significant investments in Dynamics GP, adding deeper more robust functionality, while improving the user experience with streamlined and personalized home pages. In addition, you can gain greater insight on your business with easy to use reporting, greater integration to Microsoft Excel, plus advanced business intelligence. Perhaps you have been holding off on upgrading to the latest version of Dynamics GP because your annual renewal plan has long since expired, and the cost of updating is cost prohibitive. This is not a problem with SMB Suite - because when you move to the cloud, SMB Suite will automatically update your business to the latest version. Another benefit of the SMB Suite cloud is that it is a fully integrated solution that cuts costs and greatly reduces errors. Our cloud offering features an integrated suite of products that will increase your productivity, reduce cost, and save time. As many traditionally deployed businesses know, the cost of implementation, integration, and on-going application maintenance of typical on-premise environments can be many times the cost of the software itself. However, with SMB Suite you’ll never have to worry about an approach that requires costly integration to get your different applications to work together. Each application of the SMB Suite works together seamlessly. Gone are the days of separate on premise software packages—one for accounting, one for sales force management and automation, one for ecommerce, one for service management, and perhaps one for warehousing. SMB Suite has combined Microsoft Dynamics with solutions that add value, all designed to take advantage of the proven Microsoft platform. These fully integrated solutions include customer relationship management with sales automation, service and marketing solutions, ecommerce for both business to business and business to consumer transactions, human resource and payroll solutions, service management, job costing, distribution and warehousing, plus unique Excel based business intelligence. A great benefit of moving to the cloud is the elimination of on-premise IT costs. The cost of using on-premise software includes the buying and maintaining of computer hardware, operating systems, software upgrades, service packs, virus protection, plus daily backup and recovery. For most small to medium businesses, having an IT department is an expensive luxury - yet without at least one IT person there is a very real risk of costly viruses, loss of data, and downtime. Using a modern cloud based solution such as SMB Suite eliminates this concern. 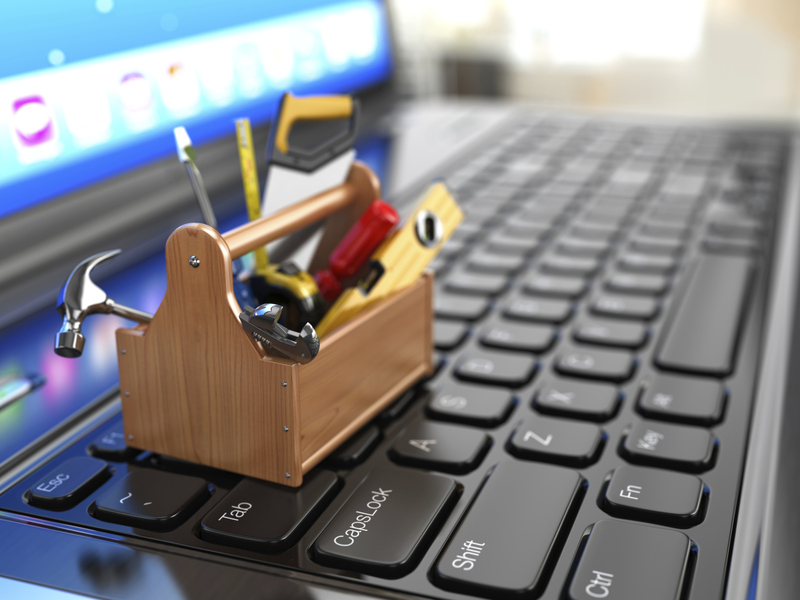 All of the hardware and software maintenance is taken care of by SMB Suite. We constantly work to keep virus protection up to date, applying all required service packs, and providing daily backups. Additionally, your business won’t be tying up funds in server hardware and/or paying for additional hardware upgrades as your business grows. This greatly reduces the risk and allows businesses more time to focus on what they do best. In part three we’ll explore how you can move to the cloud for one monthly subscription, how Microsoft Dynamics works seamlessly with Excel and Outlook, and how to gain greater visibility into your company with business intelligence. As Amazon is offering same-day delivery, an expectation is trickling down to smaller businesses to dramatically improve the speed of their e-commerce deliveries. The key for small-and medium-sized-businesses (SMBs) to speed up their own delivery efforts is to significantly improve their picking and shipping process. Doing this without breaking the bank is a matter of investing in cloud ERP systems. Here are five ways that cloud ERP helps SMBs speed up their e-commerce deliveries. Sophisticated tracking: ERP is great for companies that have a need for sophisticated tracking because you can integrate financial systems with warehouse management systems (WMS). That means when you need to know you have 500 items to ship to a client, the WMS will indicate if you have that amount in stock and put a hold on those items so they’re not shipped to someone else. With this information saved in the cloud, your crews can go back to packing and shipping without worrying whether they need to save any of those items. Automation: Cloud ERP systems improve productivity because automation saves time by reducing (or eliminating) manual work. Streamlined process can shave minutes, hours or days off of key actions and workflow processes, saving your company valuable resources. Fewer mistakes: With integrated systems, companies can gain productivity, reduce human errorand achieve faster turnaround times since accountants aren’t wasting time updating the same transactions on each and every system. It’s far too easy to log a bill or an invoice in one system, and accidentally flip the numbers in another system. Tracking down mistakes and inconsistencies among the different systems is huge waste of time. This can be eliminated with cloud ERP. Faster picking and shipping: If a warehouse worker doesn’t have all the information needed to pick something and must go back to the office for more information, precious time goes down the drain. Or, let’s say a customer wanted version A of the product, but your company accidently shipped version C. To correct the situation, the customer has to return the product and you have to restock it — and all the while, you become less efficient. System automation provides faster turnaround times because you have less potential for error. Pick it, ship it and you’re done. Analytics allows you to respond faster to trends: Many companies are drowning in client and sales data. With so much information, it’s hard to figure out what you need to know because there’s so much information. Cloud ERP lets companies identify issues and trends in their industry or company because it’s powerful enough to crunch all those numbers. Quality data is important for companies to be able to make more informed decisions to drive their business. Analytics capabilities also provide visibility into your current business to tease out problems. For example, analytics gives you a window into sales trends to determine what products are shipping less often and why. If you need to make changes, perhaps because there’s a spike in returns on one product, you can determine the reason. That’s the value of analytics. As one of the largest companies in the world, Amazon will continue to employ practices that speed up business for everyone. But SMBs don’t have to fear this progress. As a small- or medium-sized business, you too can quicken delivery efforts and keep pace with whatever’s next thanks to quality cloud ERP systems. For so many small- and medium-sized businesses (SMBs), the problem with their reporting system is that it’s just not easy for “regular people” to use. Normal people — folks without pocket protectors or advanced degrees in IT — don’t understand how to manipulate all the dials, switches and levers it takes to crank out the necessary data to make decisions. So what do regular people use? Excel. With more than a billion Microsoft Office users, it’s safe to say that most businesspeople know how to use, and heavily rely upon, the spreadsheet software. The problem with this is that producing significant business intelligence from this simple program is difficult, at best. The solution, therefore, is to use an ERP system that is capable of more sophisticated data-crunching, but is as easy to use and is integrated with Excel. Fortunately, cloud ERP solutions out there do just this; they have business intelligence reporting tools that are built-in and based on Excel. This fact alone can solve so many reporting issues for SMBs. It means the nontechnical user can leverage his or her already-built competencies around Excel formulas to build ad hoc reports. Otherwise, this effort is a tedious process for most people. Remember, reporting tools that are user-friendly means more people in the company can leverage and prepare reports or build their own. Rather than hiring someone to build reports, users are able to run the reports they need all by themselves, saving time and speeding up decision-making. The more power you can put in the hands of your employees, the better off they are to support their own decision-making process. If they don’t have to bug the IT guy to pull reports for them, they are empowered and more productive. Obviously, the similarity with Excel isn’t the only advantage that cloud ERP has for reporting. Using cloud ERP helps SMBs define and follow best practices of all kinds, including these four. Standardize accounting and operational business practices: This is critical to improving the integrity and reliability of all reports. Conduct a review of all of the “out-of-the-box” reports available with an ERP system: Make sure you review all of these reports on the system that you’re migrating to. See if they can be used to replace an existing report, relieving you of the need to create a custom report. Key performance indicators: Many metrics could be used to make adjustments to your business. The obvious considerations are profitability, sales numbers and time to invoice. Forecasting: Revenue, capital planning and personnel are important to consider when making plans for the future. Perhaps you have a goal to grow the staff by 10 people or add a new division. Get your finance department to create a bridge to achieve these operational goals. Finance will establish the parameters around the goals, such as a specific percentage of revenue growth to pay for new employees, or capital planning to support a new division. Most SMBs are made up of “regular people” who are tasked with an ever-increasing number of assignments. They have to wear many hats to keep the business going. The key to success is to have full visibility into your finances. Quality cloud ERP solutions provide SMBs with the power to build the reports they need to achieve this visibility.